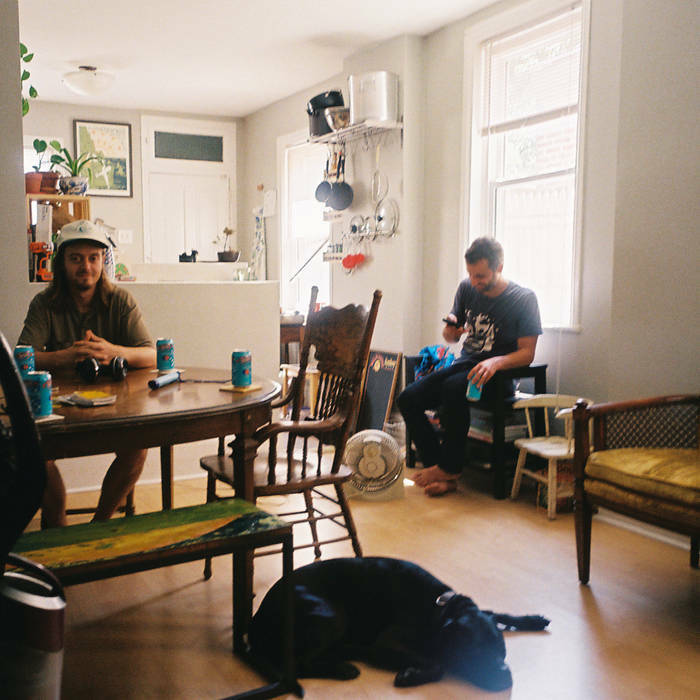 Yankee Bluff is comprised of Peter Helmis (ex-Algernon Cadwallader, Dogs on Acid) and Nate Dionne (ex-Snowing, Glocca Morra, Dogs on Acid). If that sentence alone is enough to make you close this tab, hold your horses and reconsider. Helmis and Dionne’s new Philadelphia-based lo-fi project, which recently self-released its third six-song EP, Yanked, takes the duo far from their respective (and somewhat intertwined) emo roots. Yanked’s opening track, “Furniture,” begins with Helmis’ instantly recognizable voice, double-tracked and wafting over a minimalist snare and high-hat drum machine loop. “It gathers like lint on the bedroom floor/over time accumulating/until one day you can’t ignore it no more,” Helmis delivers in a deadpan staccato before giving way to a cascading washed out guitar lead. “After all, it’s just furniture,” Helmis repeats, accompanied by a quickly-changing clean electric guitar chord progression as the song fades out. While Yanked may tap out around the 20-minute mark, the six songs offer no shortage of sonic variety. “By The Exit,” Yanked’s dense five-minute closing dirge, features a prominent, effect-laden percussion loop and syrupy layers of what might have been electric guitar at some point in the recording process. By way of contrast, “Waking Up,” Dionne’s first vocal offering, is a streamlined acoustic guitar and drum machine stroll that doesn’t quite make the 90-second mark. One of Yankee Bluff’s preeminent strengths is the contrast between Helmis and Dionne’s songwriting styles. Where Helmis leans toward sunny, anthemic arrangements of distorted open chords on “Like An Insect” and “Destined To Fail,” Dionne doubles down on melancholic, off-kilter picking riffs on “Rat Writt.” Helmis sounds most comfortable with a downbeat-heavy backing drum loop where Dionne is willing to bypass one completely. Put another way, Paul McCartney’s best contrast was always a moderately drunk version of Paul McCartney. Although the group may backhandedly self-identify as “Destined To Fail,” Yankee Bluff has delivered another collection of strong, guitar-oriented pop songs. Listeners need only wade through the swirling tide of concocted white noise, guitar grit and mounting feedback to find them. Given the band’s prolific release rate (18 songs on three EPs in a little over a year), the next installment is hopefully just around the corner.